WHILE big money vintage machines tend to make all the headlines at auctions, Bonhams has recently offered an increasing number of modern classics at tempting prices. 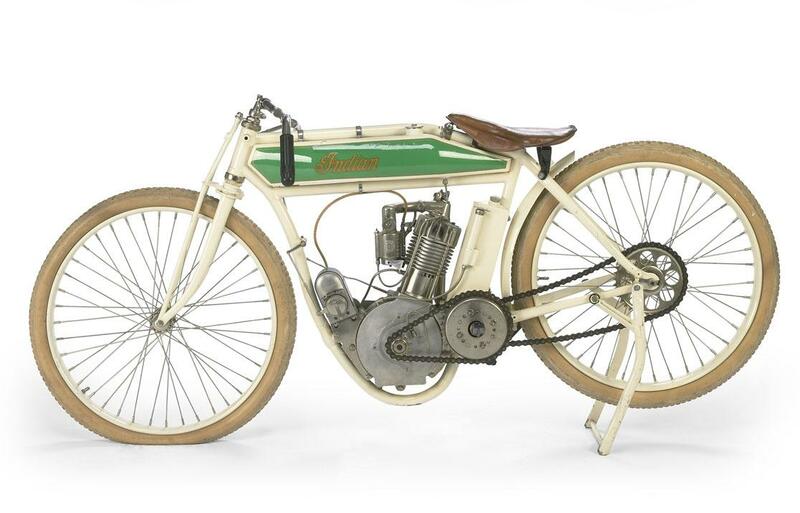 So while the headline bike at the firm’s April 28 sale at the International Classic Motorcycle Show in Stafford is an ex-Steve McQueen 1914 Indian Model F board-track racer – a single-cylinder machine with direct drive, no clutch and no brakes – there’s much more useable stuff there too. The estimates suggest some temptingly low prices, too. Even the McQueen bike is only given a £22,000-£28,000 estimate - next to nothing for a bike with connections to the King of Cool, and we’d expect it to go for much more than that by the time the hammer falls. The same sort of money (an estimated £20,000-£26,000) is expected for an ex-endurance racing MV Agusta F4. No mere racer, the 2001 machine campaigned by Steven Casaer’s team was actually a secret prototype for the forthcoming F4 1000, using unique, factory-supplied engine parts to up its capacity to various levels during its career. It’s offered in 952cc form, along with spares and documents that show the communications between the team and the factory and proving its prototype status. A little less (£16k-£19k estimate) is expected for an ex-Fogarty race bike. Not one of Carl’s machines but one from his dad, George. A 1977 Suzuki RG500, it took a second place behind Joey Dunlop at the 1977 TT. The modern classics include a Haga-rep 2002 RSV1000R (est £4k-6k), a 1998 Foggy replica Ducati 916SPS (est £5k-£6k), and the aforementioned half-dozen Ducati 916 Senna machines – five in black, one in grey, all made between 1997 and 1999 and with estimates ranging from £3k to £5k. Similar cash is expected for three 2007 Ducati 999s, all track-only machines made by Ducati Corse as ‘replicas’ of Stoner’s Desmosedici GP bike. At least one of the bikes appears to never have even been run, and all carry £4k-£5k estimates. See them all, and the rest of the lots, here.